Health and safety is the subject of many laws and regulations and failure to comply with them renders companies and individuals to prosecution. That is why health and safety is highly important as it protects the well being of employers, visitors and customers. It is especially important for all workers within an organisation to have knowledge and comply with health and safety laws. Our trainer’s at Project Skills Solutions are fully qualified and trained to deliver our health and safety courses. With extensive experience in the industry and years of teaching, our trainer’s provide highly informative courses, whilst being interactive and enjoyable. Our courses are carefully panned out as our trainer’s follow the IOSH course guidelines to ensure our delegates gain the most from their learning experience, whilst adding their own unique flare which what makes our courses not only knowledgeable, but also an enjoyable experience. Why Should I Take The IOSH Working Safely Course? The IOSH Working Safely course is designed for all employees with any role, within an organisation and industry. You will gain a solid understanding of health and safety practices within a workplace, whilst ensuring they are up-to-date, effective and well managed. You will find an improvement with your safety awareness culture and an overall appreciation of safety measures. 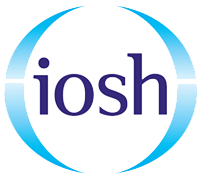 The Institution of Occupational Safety and Health (IOSH) is the world’s leading professional body for people responsible for safety and health within a workplace. Every year, almost 120,000 people from a variety of industries attend IOSH training courses. Limehouse station is a 5 minute walk from the venue, on the DLR and National Rail lines.